North Uist is the largest of the southern chain of the Outer Hebrides, about 13 miles from north to south and 18 miles east to west at its widest point. At first sight it comes as something of a disappointment after the dramatic landscapes of Harris. In fact, it's barely a landscape at all, as over a third of the island's surface is covered by water. The east coast around Lochmaddy, the main settlement, is so peppered with lochs it resembles a giant sieve. But heading west from Lochmaddy the island's attractions become apparent, particularly the magnificent beaches on the north and west coast. 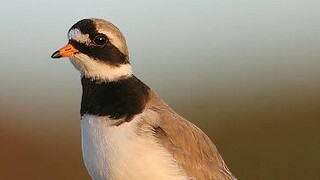 Also on the west coast, the Balranald Nature Reserve is the ideal place for bird watching. You're also likely to see otters. There are numerous prehistoric sites scattered across the island, and with all that water around there's obviously plenty of good fishing to be had. There are 3 car ferry services to North Uist. One is to Otternish from Leverburgh on South Harris, the others are to Lochmaddy, from Uig on Skye, and from Tarbert on Harris. North Uist is joined to the islands of Benbecula and South Uist to the south by causeway and bridge. There are several buses daily (Mon-Sat) from Otternish to Lochmaddy and on to Lochboisdale on South Uist. There are 4-6 buses per day (not Sun) from Otternish to Lochmaddy. These buses continue to Baile a Mhanaich (Balivanich) on Benbecula, where there is an airport, and Lochboisdale and Ludag on South Uist. There are 4-7 buses per day from Lochmaddy to Otternish. These continue via the new causeway to the island of Bearnaraigh (Berneray) just off the north coast in the sound of Harris. There are 3 buses per day from Lochmaddy to Clachan na Luib (Clachan-a-Luib) which run in an anti-clockwise direction around the north and west coasts. Two buses per day connect Clachan-a-Luib with Baile Sear (Baleshare) and also with Saighdinis (Sidinish). There are also Royal Mail post buses linking the main settlements. Local bus timetables are available at the tourist office in Lochmaddy. Lochmaddy, the island's main village and ferry port, is a tiny place, so small you're almost through it before you realize. Though it's on the east coast and not close to the beaches, it is the best base for exploring the island as it boasts most facilities. It has a bank (next to the tourist office), a hotel and pub, a tourist office, a few shops, post office, hospital (Tel. 44 (0) 1876500325) and petrol station. If you have time the Taigh Chearsabhagh Museum and Arts Centre (Tel./Fax. 44 (0) 1876 500293, www.taigh-chearsabhagh.com) is worth visiting and has a café. There are a number of interesting archaeological sites of different periods dotted around the island. The most notable is Barpa Langass, seven miles southwest of Lochmaddy on the slope of Ben Langass, just off the A867 which cuts across the bleak peaty hinterland of North Uist. This is a huge chambered burial cairn dating from around 3,000 BC. Unfortunately, it is now too dangerous to enter. About a mile away, on the southern side of Ben Langass, is the small stone circle known as Pobull Fhinn, standing on the edge of Loch Langass. Nearby is B Langass Lodge (Tel. 580285, Fax. 580385, langars@ btinternet.com), whose restaurant specializes in local seafood and game. Three miles northwest of Lochmaddy on the A865 are three Bronze Age standing stones called Na Fir Bhreige (The False Men), said to be the graves of three spies who were buried alive. The tourist information centre is near the ferry pier. Info Tel. 44 (0) 1876 500321. Mid-Apr to mid-Oct Mon-Sat 0900-1700, and for the arrival of the evening ferry. They'll provide transport timetables. Lochmaddy Hotel, Tel. 500332, Fax. 500210. Right by the ferry terminal. Open all year. Their restaurant serves great seafood, and the lively bar serves snacks. This is also the place to ask about fishing, as they rent out boats and sells permits for trout and salmon fishing. There are a couple of good B&Bs: The Old Courthouse, Tel. 44 (0) 1876 500358; and The Old Bank House, Tel. 44 (0) 1876 500275/324, both of which are open all year. 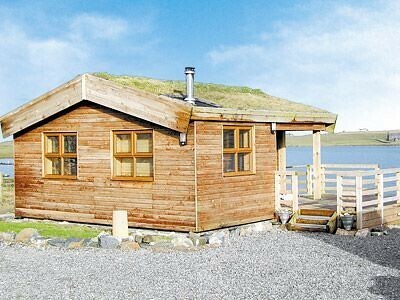 Half a mile from the ferry pier is an independent hostel, the Lochmaddy Uist Outdoor Centre, Tel. 44 (0) 1876 500480. It is open all year and offers a wide range of outdoor activities including kayaking, windsurfing and rock climbing. The Stag Lodge restaurant, Tel. 44 (0) 1876 500364, Fax. 500417, also does B&B (D-E).